So many bad ideas. So many. 2017 was not a great year, to say the least. And it wasn't just the weekly political dramas, sexual harassment scandals or a massive security breach that affected nearly half the population that had us down. There was also a slew of terrible consumer devices that sullied our mood this year. Before we say goodbye to them, though, let's relive the horror one last time. Here's hoping that 2018 brings us better gadgets than this sorry lot. Even though Juicero technically debuted in 2016, it wasn't until 2017 that it met its epic end, and it's for that reason we're naming it one of the worst gadgets of the year. Not only did it a cost a whopping $400 -- which was actually a drop from its original $700 asking price -- but you couldn't use it to juice fruit and vegetables you bought from the store. Instead, the over-priced gadget only worked with proprietary packets of blended-up produce (priced at $4 to $10 each) that were only available through a subscription. Yes, it was basically an overpriced bag-squeezer. It sounds dumb and, well, a lot of other people thought so, too. Adding to the embarrassment, a Bloomberg report revealed earlier this year that you could simply squeeze those packets with your hands to get at the juice, no machine required. 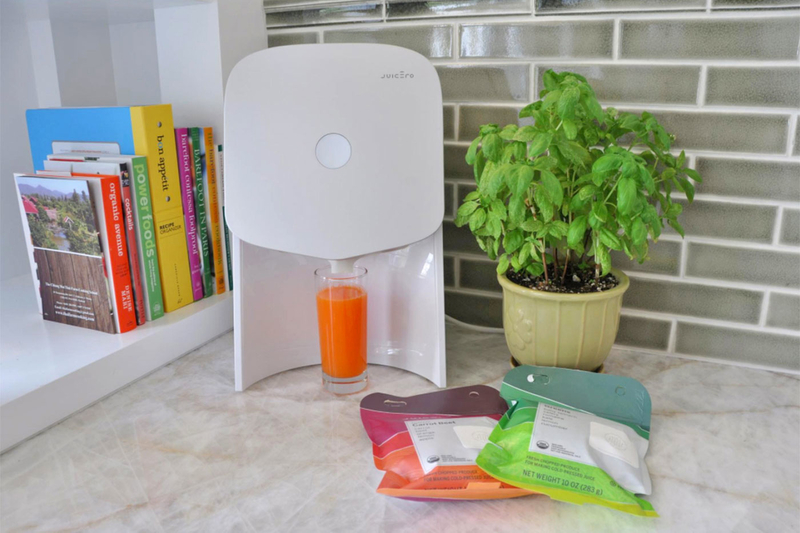 And, despite Juicero's claim that its machine delivered better results, and that its WiFi connectivity made subscriptions easier, the company ended up refunding unsatisfied customers anyway. In the end, no amount of hype could salvage this bad idea. If the past few months are any indication, the future isn't bright for wrist-worn wearables. Brands like Pebble and Jawbone fell by the wayside, Tom Tom left the market altogether, and even category leader Fitbit struggled to bring its first smartwatch to market. Instead, the industry seems to be shifting toward lifestyle brands that emphasize style over substance. Which is what makes the LG Watch Style such a mistake. 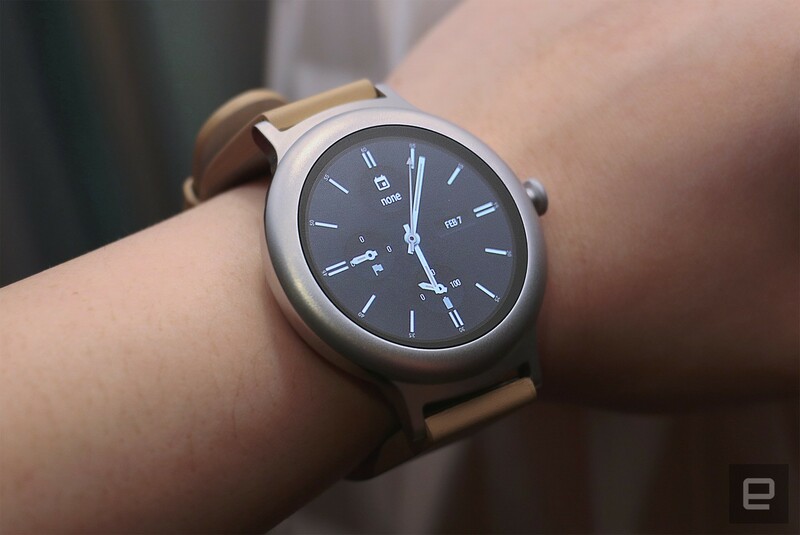 With a name like the LG Watch Style, you'd expect this Android Wear watch from LG to be fetching. According to Reviews Editor Cherlynn Low, however, it's anything but. Its basic lackluster design left a lot to be desired, and, what's more, its battery life turned out to be terrible; it couldn't make it through a full workday, much less 24 hours. By comparison, the Apple Watch 3 lasts well into the next day on a single charge. Sure, the Style's $249 list price is relatively affordable as far as smartwatches go, but that's not good enough for us to recommend it. In the end, Engadget gave the LG Watch Style a review score of 65, making it one of the lowest-rated devices of the year. An app-powered vending machine whose name was derived from the mom-and-pop corner shops it's trying to replace? What could possibly go wrong? That is, unfortunately, the tone-deaf marketing mistake made by Bodega, a Silicon Valley startup named after the local groceries that have become staples of many New York City neighborhoods. 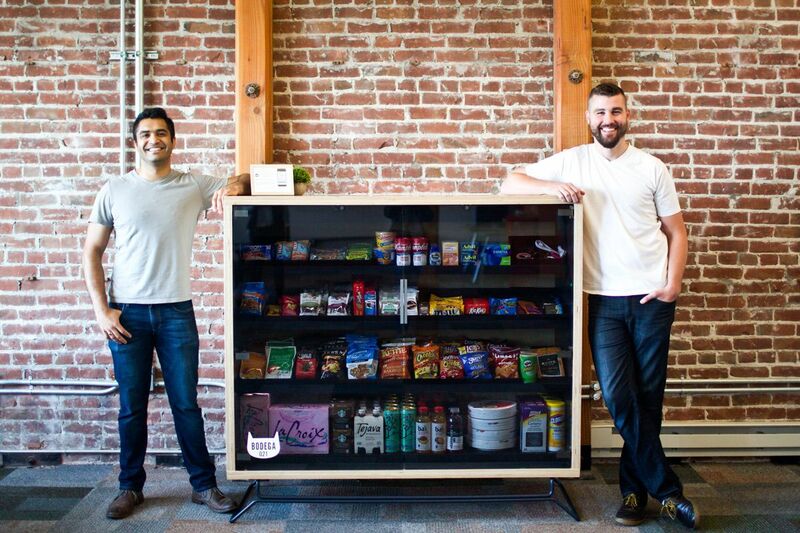 Its idea was to sell non-perishable items like toothpaste and snacks in a large cabinet in places like gyms and lobbies of apartments buildings. Enter in a code on the app, grab your desired item and, voila, you've gotten the goods without having to brave the outside world. That sounds like decent idea in theory, but it's ultimately solving a problem that doesn't exist. It's not that hard to walk into a drugstore to get the things you want, and with services like Amazon Prime, you don't have to leave your house to get them either. There's also, you know, good old-fashioned vending machines that work just fine without an app. The bigger problem, really, is that name. Bodegas are an important part of the social fabric of living in a city, and even if Bodega's founders claim they don't want to actually get rid of mom-and-pop stores, the start-up would essentially be taking away some of their business. Plus, there's no way a vending machine can serve you up a warm breakfast sandwich and a cup of coffee on the way to work. Every once in a while, there's a product that just makes you go "Why?" 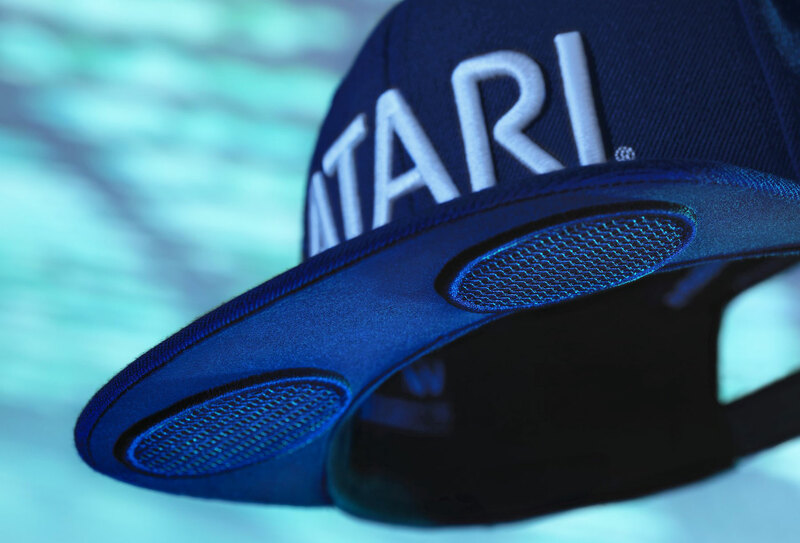 And Atari's new line of Speakerhats is definitely that. As its name suggests, the Speakerhat is essentially a baseball cap with a Bluetooth speaker embedded right in the brim. Atari is apparently marketing this at fitness enthusiasts who don't mind blasting their musical tastes to the world as they run laps. There's also a microphone, giving you the option of having loud conversations in the middle of the park and looking crazier than you would if you were wearing a pair of headphones. What's more, Atari says the Speakerhat has a Multiplayer mode that allows multiple users to listen to a single audio stream, as if that's somehow better than normal pair of speakers. On top of all of that?, these caps retail for at least $130. If you're that much of an Atari fanboy, we'd recommend saving that cash for the upcoming Ataribox instead. In Japan, slurping your ramen is a sign of respect for the cook. Plus, the noodles supposedly taste better that way. In most Western cultures, however, that wet sloppy sound is more rude than appetizing. So Nissin, the makers of Cup Noodle and Top Ramen, developed the Otohiko, a noise-cancelling ramen fork. No, this isn't a joke. It's real. And it costs an eye-watering $130. The fork connects to an app on your phone, which emits sounds at a certain wavelength to help cover up the offending slurp. That's about it. It has a battery that lasts an hour between charges, and the handle isn't waterproof, so the prongs need to be hand-washed. To be fair, the Otohiko is only available on pre-order right now, and if Nissin doesn't sell at least 5,000 units, it won't make them. Which is probably a good thing, because we'd rather spend that $130 on more ramen. One of the most exciting announcements at Samsung's Galaxy S8 launch event was Bixby, the company's AI-powered personal assistant. Instead of just telling it what to do, Bixby could supposedly learn your daily habits and patterns and tailor itself to your life. It also promised a visual search feature that uses the phone's camera to shop, identify objects and translate signs. 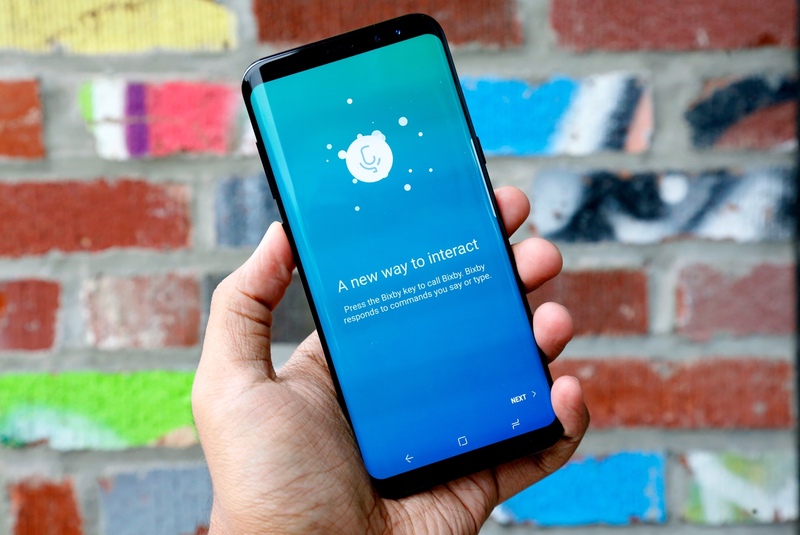 Samsung even boasted that as complex as Bixby was, it would be as easy to use as your phone's touchscreen. Unfortunately, however, it just never lived up to its promise. For one thing, Bixby wasn't even available for a good three months after the S8 and the S8 Plus came out, which is not a good look for what is supposedly the next driving force behind Samsung's consumer products. And when it did arrive, it simply wasn't very reliable. In our "Life with AI" series, senior editor Devindra Hardawar said it took forever to answer simple commands; sometimes repeating the same command would result in wildly different replies. Bixby still has a lot of potential, but we'll have to wait for 2018 for any improvements. In the meantime, why bother with something unfinished when the S8 has another personal assistant (the well-established Google Assistant) already baked in? We were initially excited about Google's Pixel Buds. A pair of earbuds that could translate languages on the fly? That sounded like Douglas Adams' Babel fish come to life. Ultimately, though, it didn't live up to the hype. They don't block out noise at all; fitting them into the case is a hassle (plus it has a tendency to pop open); and the touchpads on the sides of the buds activate way too easily. Even using Google Assistant is a hit-or-miss experience. In his review, senior mobile editor Chris Velazco mentioned how he would sometimes make a request, and it would just hang without any response. As for that much-hyped translation feature, it works, but only sort of. For one thing, you have to hand your phone over to the person you're speaking to so they can respond to you. It's also dependent on a reliable internet connection; anything less will result in a slow response, if any. Plus, the translation relies on Google Translate, which can be overly literal, especially when it comes to idioms and colloquialisms. Translations from non-Roman languages like Chinese and Japanese are especially error-prone. 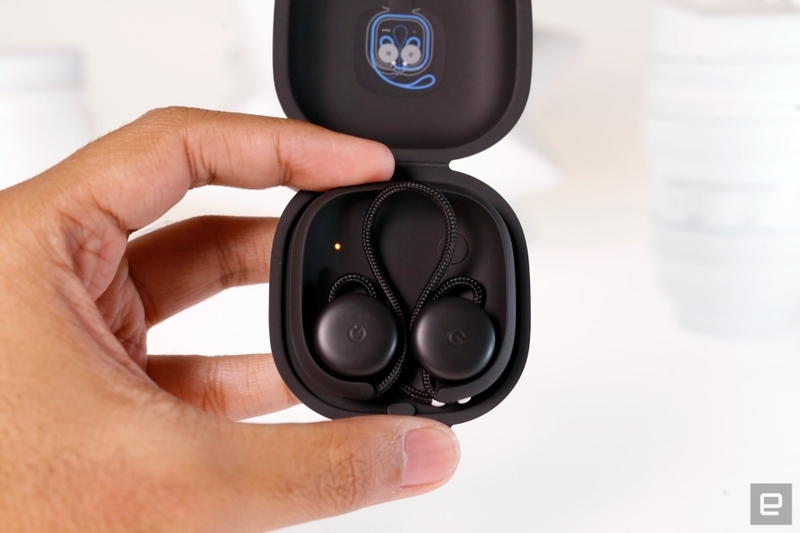 In short, the Pixel Buds aren't very good headphones, with or without the feature that makes them special. Want to look like Bane while making an important business call? You might want to get the Hushme, one of the most ridiculous gadgets we've seen this year. That said, the idea behind it isn't completely terrible. This mouth-wrapping contraption aims to muffle your voice so as to not bother people around you when you're on a call -- and it prevents them from listening in on your private conversations, too. It even comes with a couple of earbuds, so you can make those calls hands-free. But Hushme then thought, hey, let's drown out your voice even further by emitting a series of sounds through external speakers, like R2-D2-style beeping or the more natural sound of rain. That seems to defeat the whole purpose of not disturbing others. Since we last saw it at CES, Hushme underwent a redesign. (It's now white instead of black, which doesn't make it any less creepy.) Our jokes aside, it seems quite a few people out there thought this was a good idea: The device has raised over $71,880 on Kickstarter and is now available through Indiegogo for $189.